Something that we always try to do with our kids, particularly since we are worldschooling, them is visiting historical sites. 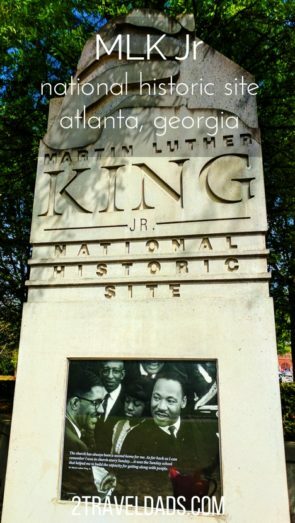 We visit Atlanta Georgia quite frequently and I’ve gotten the chance to go to Martin Luther King Jr National Historic Site a couple of times. 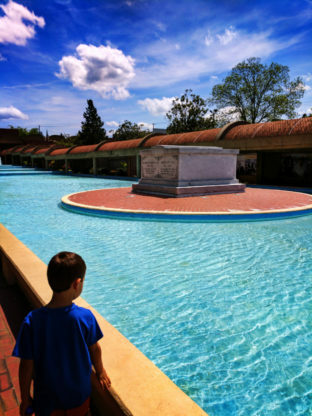 Oliver, our oldest is starting to understand why we visit MLK National Historic Site as frequently as we do, but it still doesn’t impact him the way that it does us. 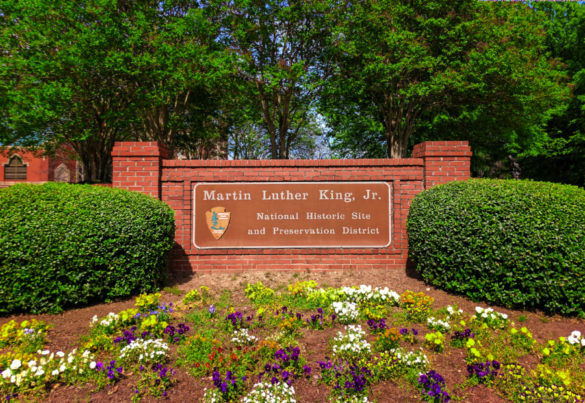 Have you been to MLK National Historic Site? If not you need to be sure to do so, and if you are going to be visiting Atlanta, perhaps schedule a long layover so that you can spend an afternoon there. It is a touchstone destination for those who’ve experienced discrimination, been active in the ongoing Civil Rights Movement, or those who are passionate about helping their fellow man. 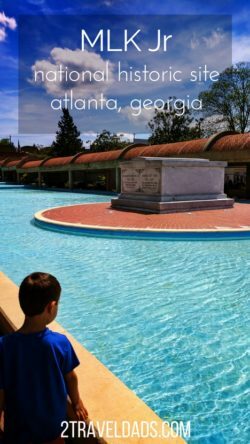 These are our tips for visiting the Martin Luther King Jr. National Historic Site with kids as well as a little bit of why it is such an important place for us and hopefully for every other American. 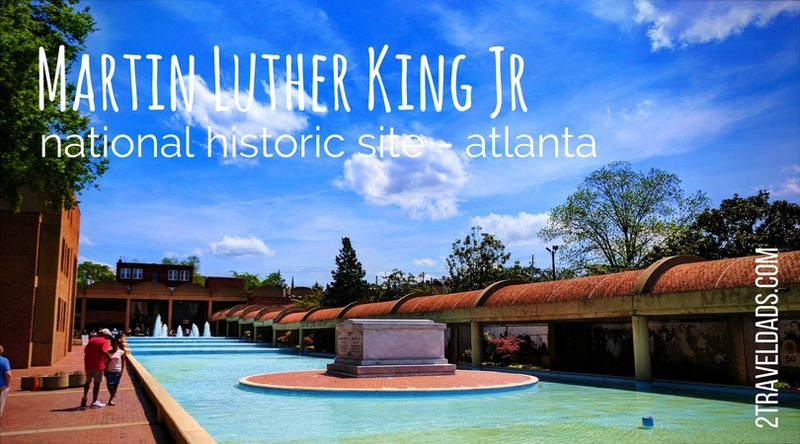 Just east of downtown Atlanta, the MLK National Historic Site is easily accessible if you’re spending any time in the city. There is a trolley that goes between the historic neighborhood and Centennial Park, there is ample parking at the King Center and National Park site itself, there’s parking around the corner… Atlanta also has an easily navigable bus system, so if you’re heading to the Atlanta Zoo or the Botanical Gardens, you can plot it all out together and make a full, interesting day in downtown Atlanta. 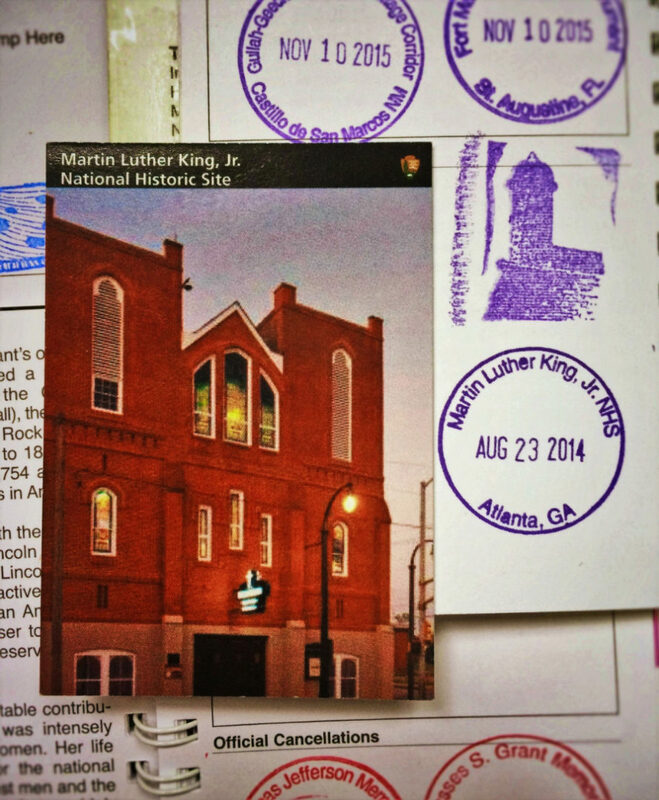 MLK National Historic Site is much larger than you might expect. It is free of charge but like any national park site donations are appreciated. These are the different parts of the site, all of which can be visited in an afternoon. 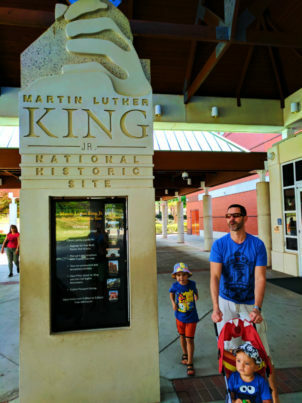 The first stop when visiting MLK National Historic Site is the large museum located at the Visitors Center. It is really quite impressive and emotional. 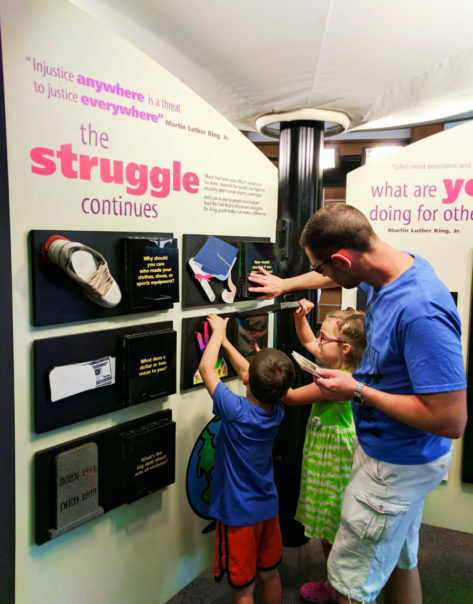 Dedicated to more than just Dr. King, the museum highlights the struggles of the Civil Rights Movement in the United States. 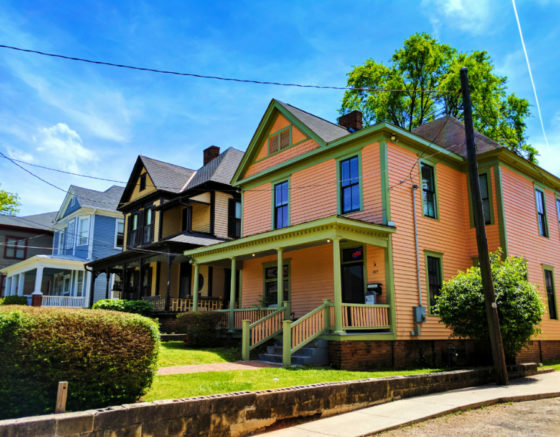 From the basics of early action towards progress, to art installations putting you directly into a moment of the Civil Rights Movement, it’s an incredible place to explore. For those not familiar with the Civil Rights Movement in the United States it will be a very eye-opening experience. Photographs and video clips are plentiful and countless exhibits accurately demonstrate what the situation was the United States. There is a theater with a great short film explaining the struggles of the Civil Rights Movement, Park Rangers for interpretation and answering questions, and outdoor space for spending time being thoughtful and reflecting both on how far we’ve come and the terrible injustices still present, and actually growing today. Most of the churches or religious sites that we visited the kids are old missions or historic chapels. 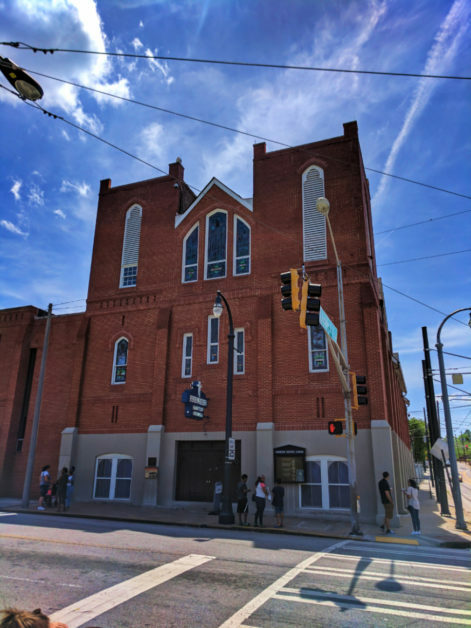 Ebenezer Baptist Church, across from the museum at MLK National Historic Site, is such a special place. 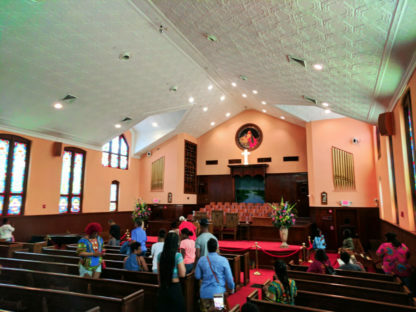 This church is where Dr. Martin Luther King Jr. was the preacher and where his family served. This was also the hot seat for much of the Civil Rights Movement in Atlanta and beyond. 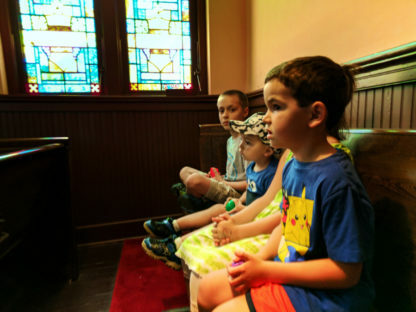 When you visit Ebenezer Baptist Church, immediately you head up the stair and enter the sanctuary, you take a seat in a pew, and then just sit and listen. What are you listening to? The National Park Service has created a loop of Dr. King’s sermons and speeches. It’s kind of incredible to sit there in that specific church and hear his words. 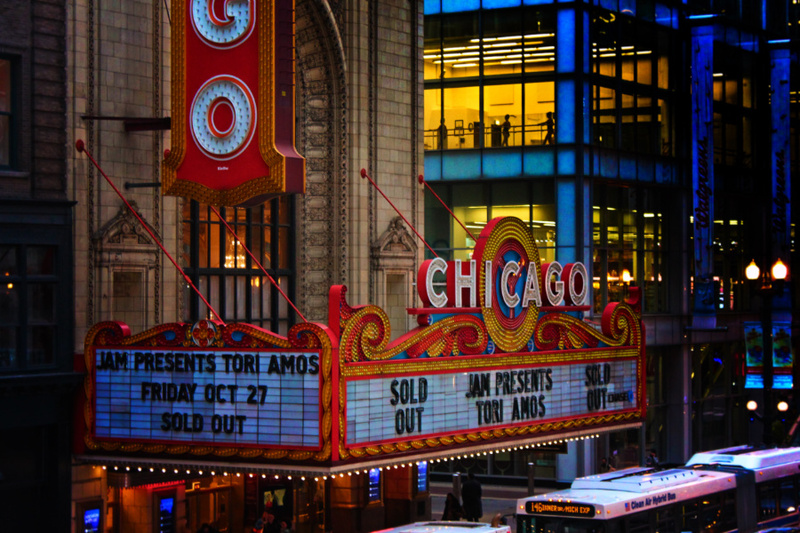 Just go and experience it and you’ll understand. It all kind of went over the kids’ heads, but us dads were extremely moved, and each time we go back it’s just as moving as the first time. 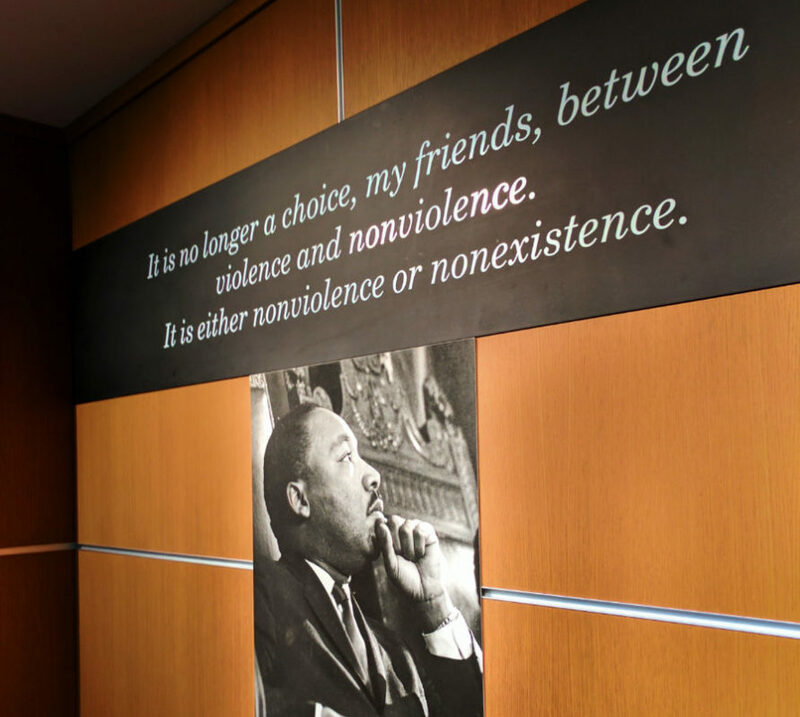 One of my favorite quotes, and you hear it or see it several places around MLK National Historic Site, is “It is no longer a choice, my friends, between violence and nonviolence. It is either nonviolence or nonexistence.” Our last visit was right when the Black Lives Matter movement really started to get steam and was at the forefront of everybody’s minds, and this quote really resonated with me as images of Ferguson went through my mind. 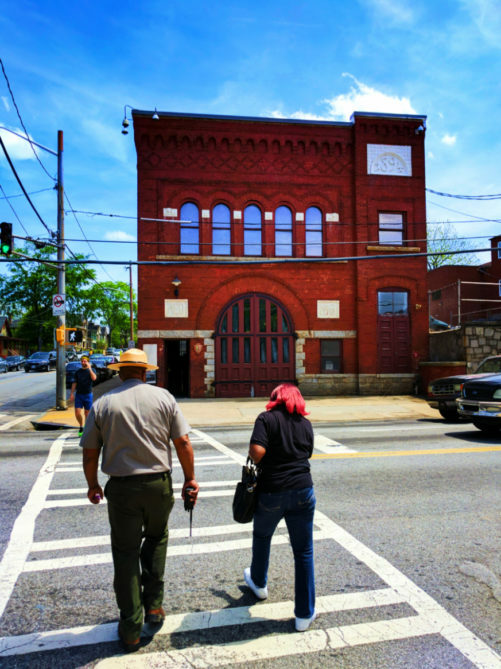 The Old Firehouse across the street from Ebenezer Baptist Church is also part of the MLK Jr National Historic Site. 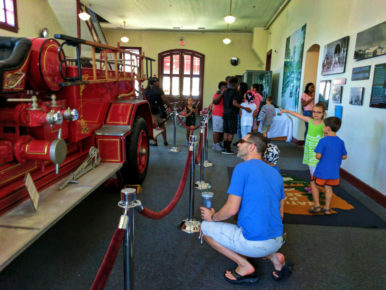 Inside the find historic photographs video presentations of more aspects of the civil rights movement, and a vintage fire truck. 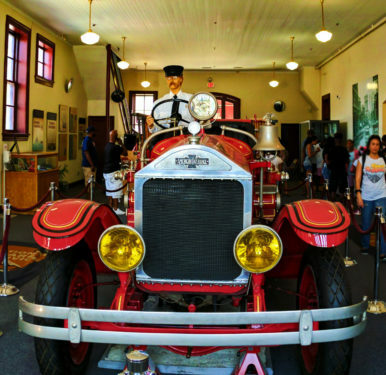 The Atlanta Fire Department was integrated (desegregated) in 1963 and this fire station was one of the first to be impacted. The building itself was built in 1894 and is pretty cool. 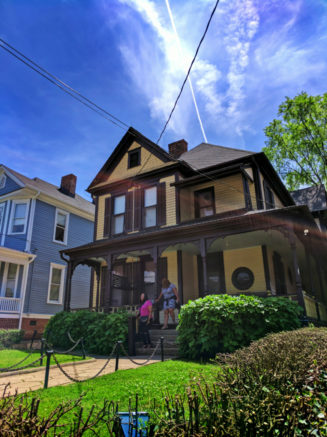 It gives the neighborhood an historic feel and is a highlight for kids, which is important if the younger kids just aren’t into the rest of the history or don’t understand the overall significance of visiting MLK National Historic Site. Arrived at Martin Luther King jr. National Historic Site when it first opens, usually at 9 a.m. Immediately asked to be on the tour list. If you are early enough you will receive a tour time and then come back at your scheduled time. If you do not do this at the very moment the National Park Rangers open the doors you will not get to tour the house. If it’s important to you, be there at 8:55 a.m. and GET YOUR SPOT. There’s nothing like hearing about and being present in an historic place when it’s so significant to the world we know today. The last part the MLK National Historic Site is the King Center and Reflecting pool. 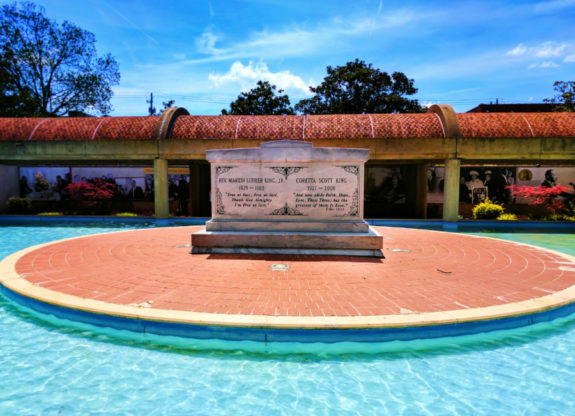 Here you will find both Dr. Martin Luther King’s tomb end an eternal flame. The Eternal Flame, located in the fountain plaza of the King Center, was lit in 1977 has burned ever since. This plaza is a place of great respect and calm. 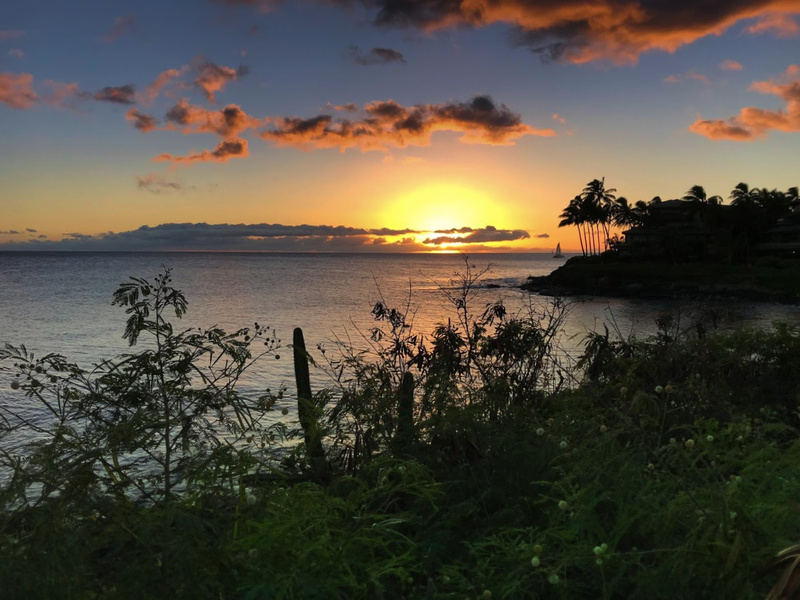 Like visiting Arlington National Cemetery or any other burial ground, it is a place to be on your best behavior and remember that this is a very special spot. It’s not a place to let kids run around and be crazy, but a spot to reflect and appreciate the work Dr. King and everybody else involved in the civil rights movement have done. 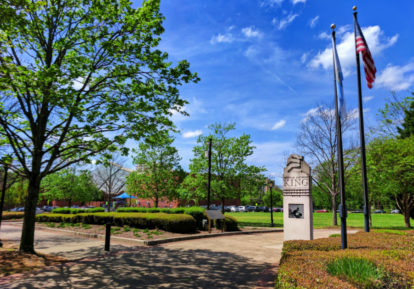 Other aspects to check out around the fountain plaza include a corridor or photos and quotes, the crypt of Dr. and Mrs. King, and the King Center (if open during visit). Like we always say, if you have questions about what you see, ask a National Park Ranger; they’re knowledgeable and there to help. Like with many other National historic sites, Martin Luther King Junior National Historic Site Is by no means exciting. 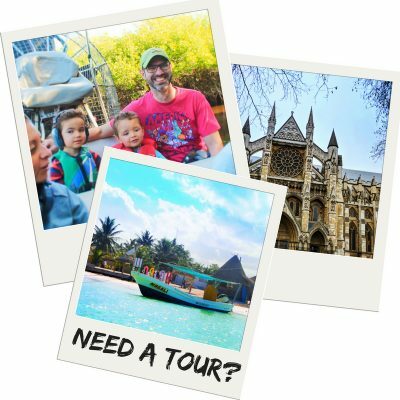 it is absolutely fascinating and a moving experience for adults, but if you are visiting with kids you need to give them some back story first. what happened to Dr. Martin Luther King Jr.
if there is interest or if the kids are old enough, give a little information about the current state of our nation and where bigotry and racism is prevalent today. 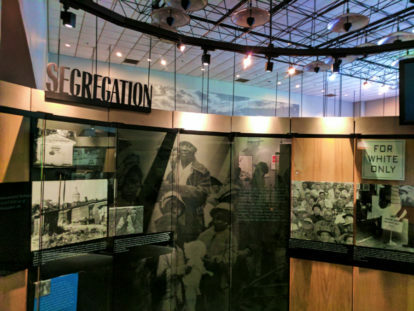 Very important: explain the aspect of respect and proper behavior, as the Martin Luther King Jr National Historic Site is very much a living representation of battles still being fought today. 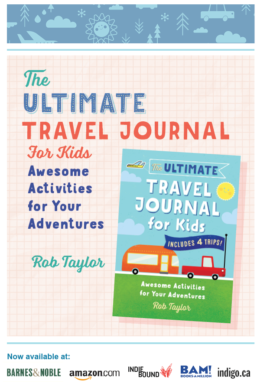 It is a touchstone destination for many and a very emotional place. When we visited Martin Luther King jr. National Historic Site most recently, it was just after visit to Kennesaw Mountain National Battlefield. When we were there we got to explain about the Civil War and slavery. One day later being at the National Historic Site focusing on civil rights in the 20th century, we were able to tie it back into what we had talked about the prior day with at a Civil War battlefield. 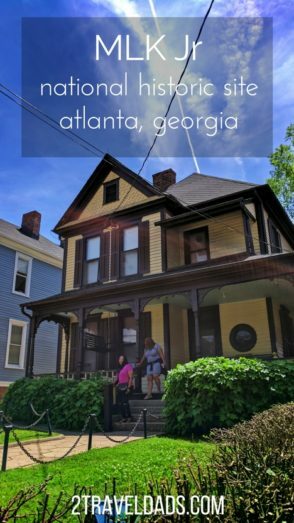 The MLK National Historic Site in Atlanta is definitely one of the most moving and important historic sites to visit in the United States. 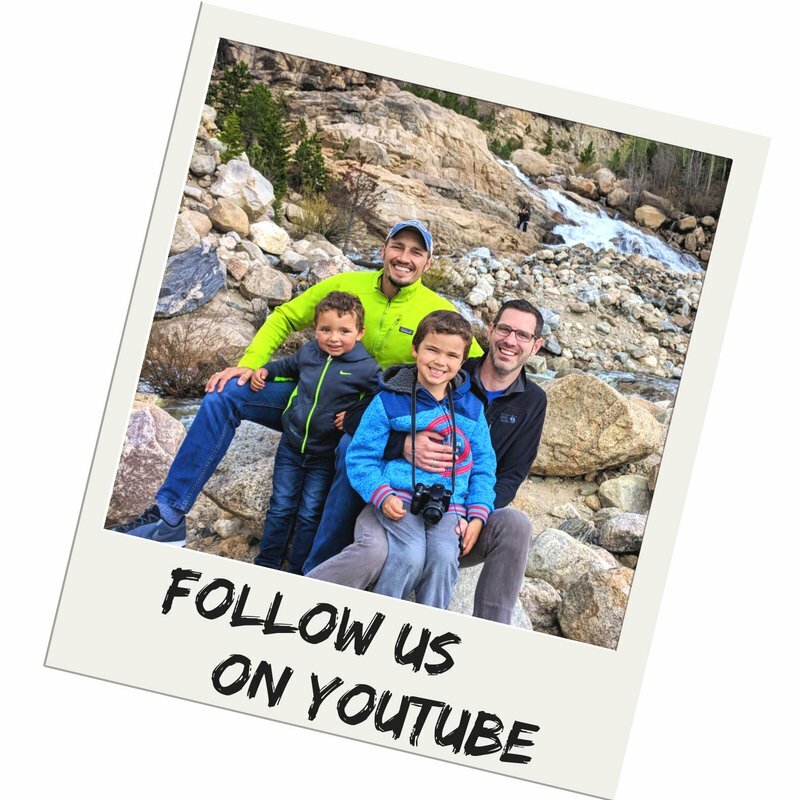 We’ll return again in a few years when the kids are older, especially as daily there are more and more reasons to ensure our kids understand the struggle of others and why progress must continue. Racial injustice is still very much a problem in the United States today, particularly with the current President and administration in office. Hopefully our kids will live to see the day when people everywhere treat each other with due respect, and our greatest hope is that their kids will one day be baffled to hear that the Civil Rights Movement was even necessary because they only know kindness and goodness. 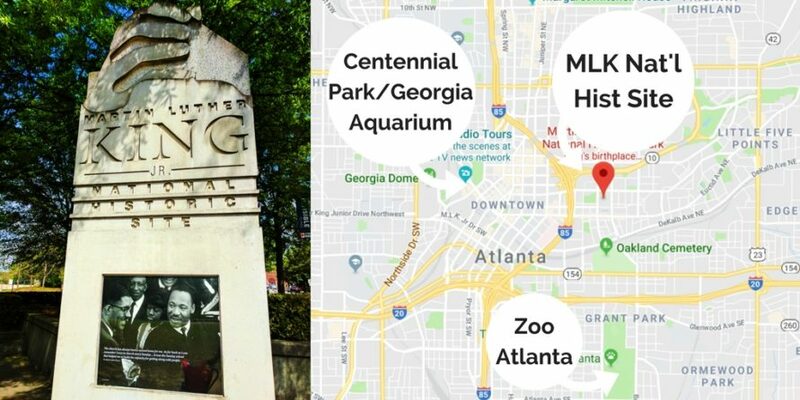 Want to pin this for planning out your next trip to Atlanta, Georgia or the Southeast? Go for it! And if you have suggestions for other great, historical sites for us to visit, please let us know!